Welcome to District 12: The Hunger Games Costumes Go On Tour! The Hunger Games costumes are going on tour! Starting in L.A. this week, it will move onto Seattle, Chicago, and end up at New York Comic Con followed by an auction. This means this may be your only chance to see the costumes in person! from January 11 to 13. The Hollywood Show, a popular movie and television memorabilia convention that features over a hundred celebrities at each of its four annual shows, will be held at the Westin Los Angeles Airport Hotel. auction at New York Comic Con. Over 200+ costumes will be on the auction block. Interestedbidders will be able to bid live in-person, by telephone, via absentee, and on the Internet as facilitated by iCollector. A print catalog will be available for purchase in April. Haxbee, Inc. and its Blacksparrow Auctions subsidiary have a collective number of 80 years’ experience dealing with Hollywood memorabilia and collectibles. 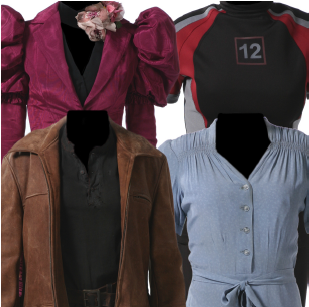 For more information about the company and the Hunger Games Costumes Exhibit & Auction, visit haxbee.com.